A Chicago Bears playoff run. It sounds like a long forgotten dream. A legend passed down from generation to generation. Something unseen since the ancient time. Of course, that’s just a little exaggeration. The point still stands though. It’s been a long time since the Bears got to play January football. 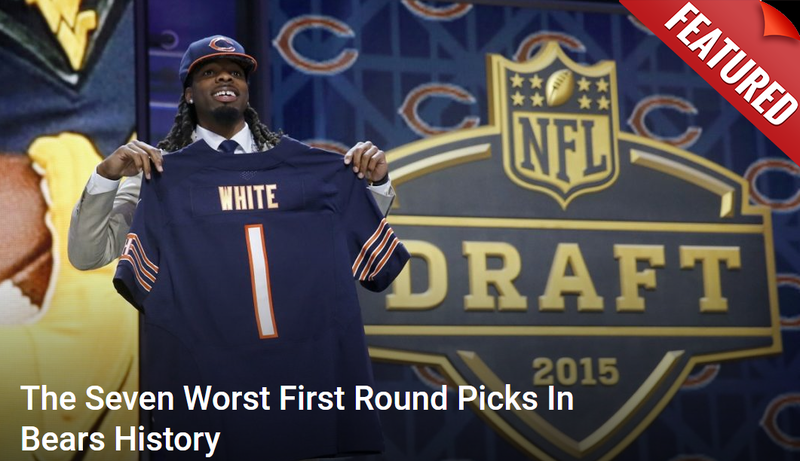 Not since the days of Lovie Smith and Brian Urlacher. One of the hardest things to do in the NFL is completely rebuilding a team from scratch and turn it into a winner. The reason for this is because the majority of the players coming into the system are drafted players. Only a sprinkle are veterans who have any sort of experience on what it takes to win. That means the team has to learn how, and it can often be a painful procedure. This is where the Bears find themselves. Of the 22 projected starters currently on this roster that GM Ryan Pace has painstakingly built, only five of them have participated in a playoff game in their careers. That means 17 others have a lot to prove going into 2018, but can they answer the bell unlike years past? New predictions seem to think so. Every year in the NFL there are two or three teams that end up making the playoffs who weren’t there the year before. Some of them haven’t been there in a long time. A perfect example was the Jacksonville Jaguars and Buffalo Bills. The Jaguars hadn’t seen the postseason since 2007. The Bills since 1999. It was rather fitting the two teams met in the wild card round. On the NFC side, it was the Los Angeles Rams reaching the promising land for the first time since 2006. They, more than any team, convinced NFL.com columnist Adam Rank that the Bears should be considered conference favorites to end their own lull this season. A team with a talented roster — and a highly drafted rookie QB — underachieves behind an old-school coach. But then, that team hires a sizzling, young, brilliant offensive mind with a playbook for the modern NFL, makes a huge splash in free agency and adds some pieces in the draft to eventually become the toast of the NFL. It’s hard not to feel the optimism. Everything about this Bears team feels right. They’re young, athletic, fast and ascending at almost every position. The defense ranked top 10 last year. Mitch Trubisky has an assortment of new weapons at wide receiver along with a newly fortified offensive line. Nevermind the continued presence of Jordan Howard and Tarik Cohen in the backfield. If head coach Matt Nagy is truly worth his salt as an offensive mind, this team should not be taken lightly when the real action begins.